The NJEA Winter Leadership Conference is dedicated to developing association advocates. For this reason, there will be no professional development credit given for attendance in any workshop. 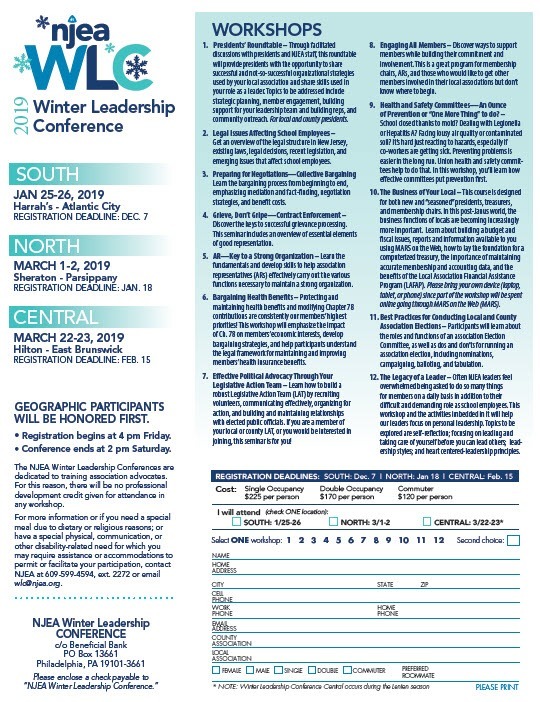 All levels of association leaders—from seasoned veterans to new members—will benefit from the specialized training and networking opportunities offered at NJEA’s Winter Leadership conferences. may require assistance or accommodations to permit or facilitate your participation, contact NJEA at 609-599-4594, ext. 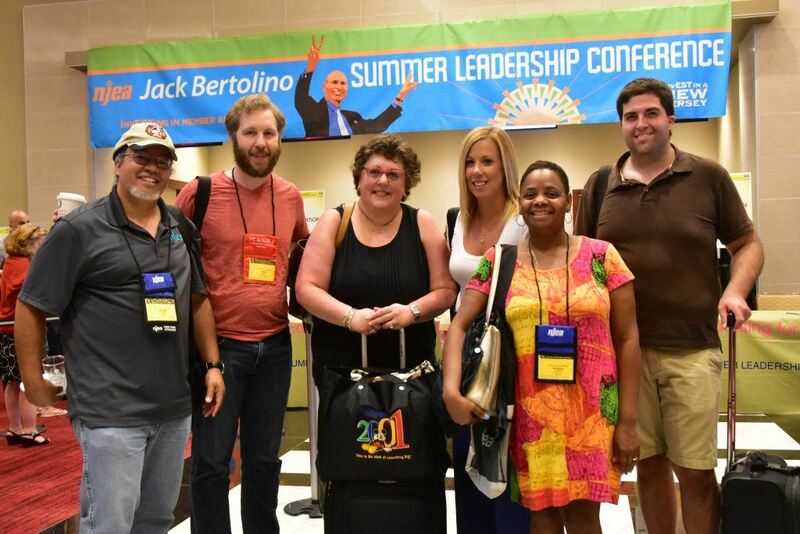 2272 or email wlc@njea.org. For details and registration, download form below.